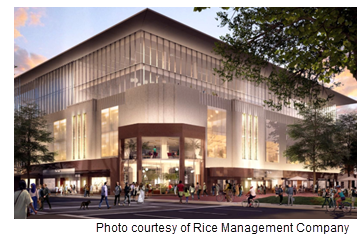 ​​​ ​HOUSTON – Rice University announced the construction details of the historic Sears building's transformation into The Ion. Construction on the 270,000-sf building will begin in May and conclude by the end of 2020. The building will serve as a coworking space, provide resources for entrepreneurs and startups, host events, and offer retail space for restaurants and entertainment amenities.